A simple, quick and nutritious dish that is perfect either for lunch or dinner! It is gluten, dairy, egg and nut free, and rich in nutrients including protein, magnesium and fibre. It can also be prepared as a purely vegan meal or a meat dish. 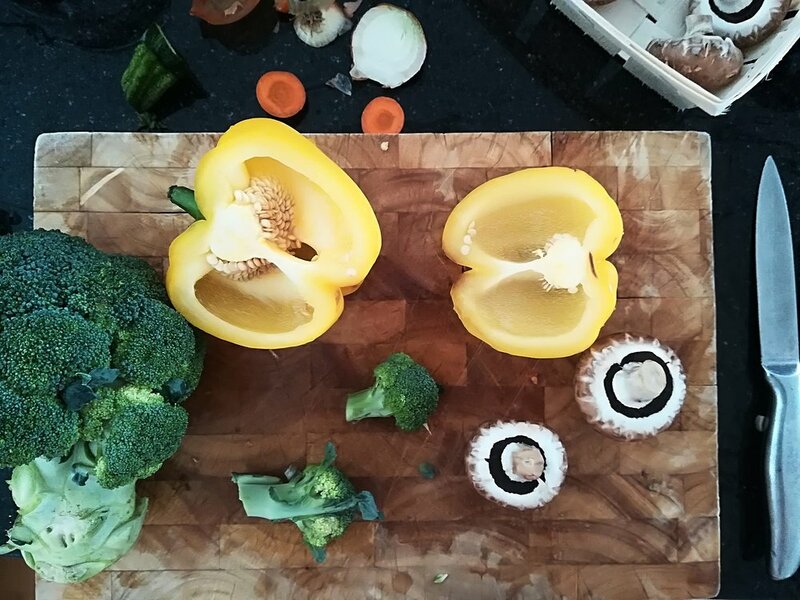 Add buckwheat, cubed carrots and courgette, tomatoes cut in quarters, sliced mushrooms, cubed pepper, broccoli and water. Bring to boil and immediately reduce to medium heat to let the mix simmer. Add in garlic, herbs, salt, pepper and stir. Cook for 13 min. The buckwheat will absorb all the water during cooking – if needed, add more to make sure the risotto doesn’t burn and is not too dry.